One Stop Patio Shop works with a trusted network of professionals to ensure your needs are all met under the one roof. Our affiliated electrical supplier can help you with your lighting and power requirements. Relax and leave the entire process to our friendly technicians. We’ll be in touch to install your lights, fans and any electrical sockets you may require. 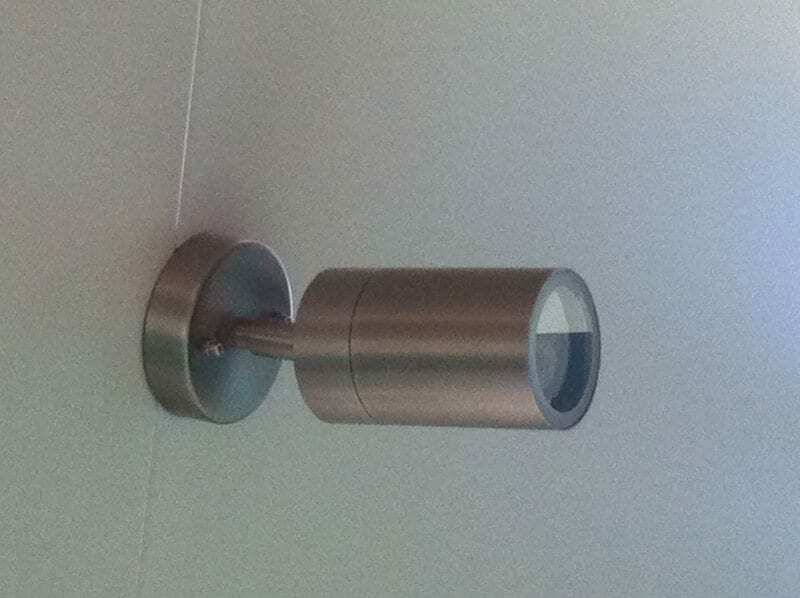 We work closely with you to identify the most practical location for lights and lightswitch placement. You can discuss any further electrical work you may require directly with our Perth lighting consultant. One Stop Patio Shop is committed to premium customer service and therefore provides an all-in-one package, whereby you are able to complete your outdoor renovation project as seamlessly as possible. Remove the hassle and call our qualified, friendly team of professionals. Brushed chrome finish. Fitted with energy-saving GU10 globes. Adjustable shaft allows 360-degree movement. Modern new round design. 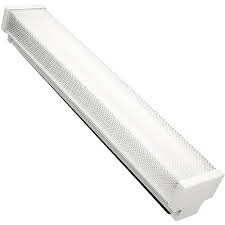 Twin 36W fluorescent tubes. Prismatic diffuser. 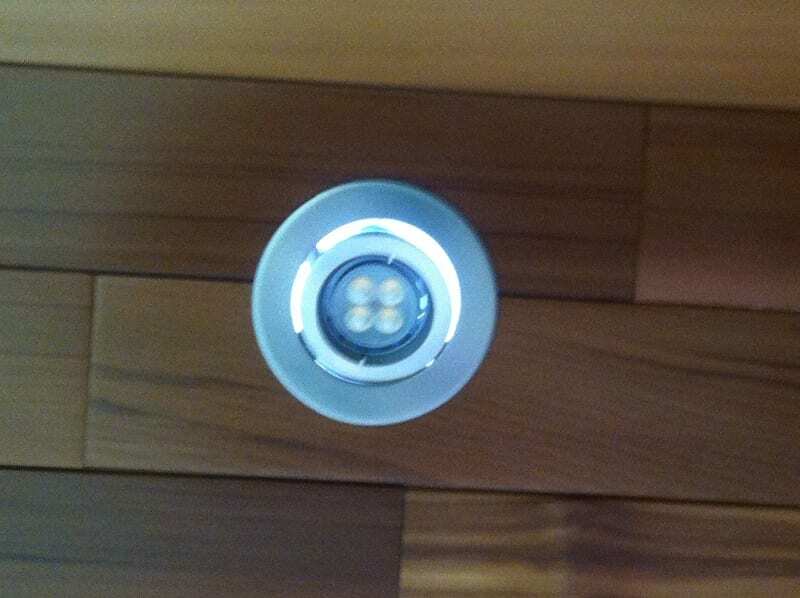 12W dimmable gimbal downlight. High-grade aluminium construction. 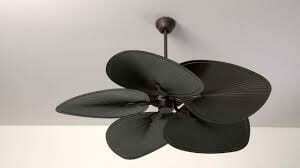 Available in either white or brushed nickel finish. 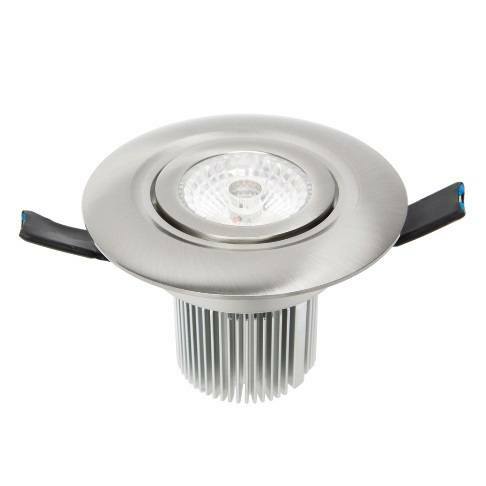 Brighter than a 50W halogen downlight.Low operating costs. Aluminium construction. Available in 600mm and 1200mm. Suits all halogen light globes. Capable of housing 4 lights per track. Brushed chrome finish with stainless steel. 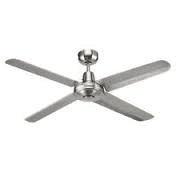 48-inch, 122cm width, 17-degree blade, 3-speed wall-controlled. FULL 316 Marine-Grade stainless steel. 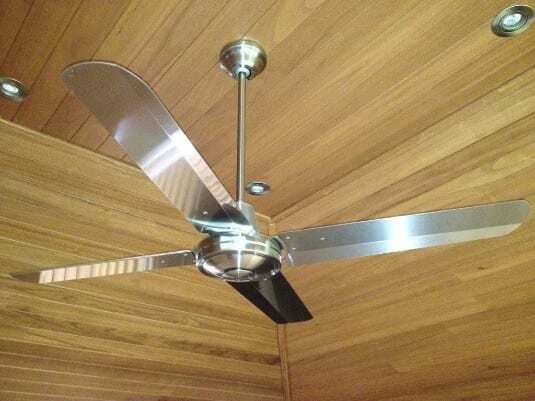 23-degree blade pitch for greater airflow. 3-speed wall-controlled. Unique 5-blade design.52-inch, 132cm width. 3-speed wall-controlled. Comes in coffee, white and black colour finishes. This means you can add another ‘switch’ into your electrical distribution board. So instead of your patio lights turning on altogether, you can separate them into sections. This helps when lights are over lounges, tables and barbecues. Dimmers are great once you have finished doing the cooking and cleaning, when it’s time to relax with family and friends. 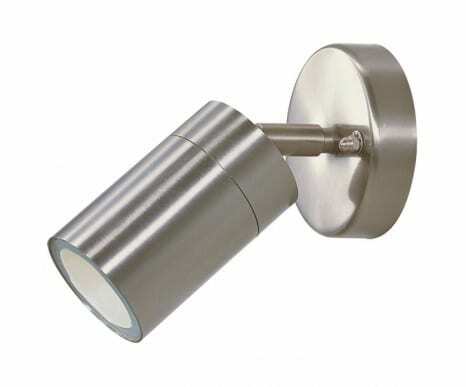 These are generally installed with the downlights, however all light options are dimmable. 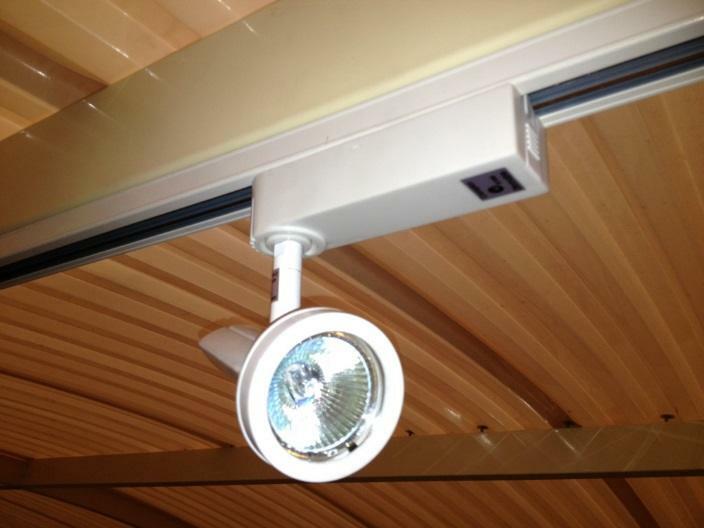 One Stop is able to install power points for your new patio, too. 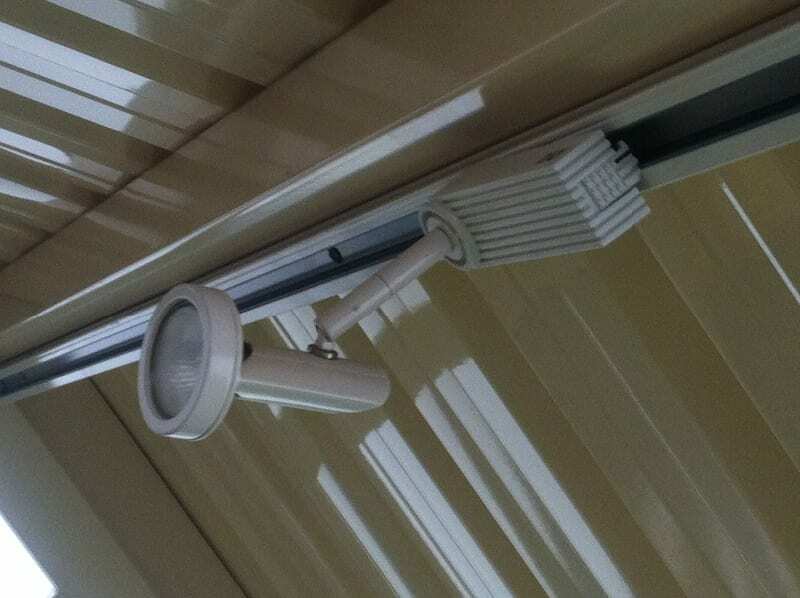 These are all weatherproof and can be installed anywhere you need. Electrical tools, high-pressure cleaners, party lighting and “just in case” are the main reasons we install power points for patios. Sometimes we will need to install safety switches in your home. In the extremely rare case that this would be necessary, the electrician will discuss all options with you before making the final decision. We can install smoke alarms for your patio. If you plan on enclosing your patio for cooking options, we recommend you install at least one smoke alarm. To install your patio renovation, the old one needs to be dismantled and removed from site. If by chance there are ‘live’ electrical components attached to the old patio we will need to disconnect the components ready for the next installation.